As a boat owner, you know how important it is to take great care of your boat. Finding a reliable boatyard can prove difficult, however. Fortunately, Lieb Marine of Seattle, Washington, is here to serve as your local boatyard of choice. We provide complete services for pleasure boats and yachts, including complete upgrades, mechanical inspections, electronic work, and more. 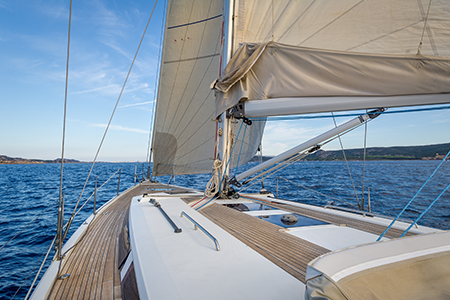 Don't wait any longer to start taking great care of your boat; contact us today to learn more. Rely on us when you need a boatyard in Western Washington. Experience matters. No matter what kind of company you're looking to hire, you want to be sure that they have the expertise required to fulfill your needs while delivering excellent service. At Lieb Marine, we have more than three decades of experience providing superb boat maintenance and repairs. We provide a broad range of services, including engine repair, painting, and interior work, for boats and yachts. Count on us to complete our work promptly, while paying close attention to your needs. Give us a call today for more information. We look forward to serving you.